My daughter is 5 (6 in October) and seems to have a lot of potential. I’m not looking to make her an elite gymnast at this point. I just to see where she goes with it because she enjoys it. She’s going to The Little Gym right now and will be doing two 90-minute classes/week next year. They have put her in “invitation only” classes because she does show some potential. She’s small and strong and does well. Maybe I’m wrong but I think it’s good that she can do a one-handed cartwheel at this age after trying just a handful of times. Anyway, if she handles the 3 hours well next year, I may want to get a coach for her the following year. Is she too young? I’m clueless. After spending someÂ moreÂ time thinking about it, I wanted to spend some more time talking about your question. Â There are a wide variety Â of opinions about competition and there are, basically, two types of gyms. Â Gyms are either competitive gyms or recreational gyms. Â It seems to some that non-competitive gyms are the more politically correct. Â For a number of years, it seemed as if competition was getting moreÂ andÂ more of a bad name. Â Many so-called expertsÂ wouldÂ point to competitive sports,Â includingÂ gymnastics, and put forward theories on why competition was bad for children. Probably the major contradiction, to all of those theories, is that the vast majority of gymnasts love competition. Â For them it is fun, in fact, it is one of the most fun aspects of the sport for gymnasts. Â If anything, it seems that sometimes parents and coaches have moreÂ troubleÂ handling competition than gymnasts do. Â Gymnasts like to competeÂ andÂ they are usually not nearly as compulsive about competition results as parents andÂ coaches. There is often a definite difference between running a recreational gymnastics program and a competitive program.Â There is much less accountability in a recreational program, in terms of gymnastics skillÂ learning and improvement inÂ flexibilityÂ and strength. Competition, by its very nature, makes gymnastics team coaches more accountable for results and success. Recreation programs have no such accountability. CompetitiveÂ andÂ recreationalÂ gymÂ facilitiesÂ often differÂ considerablyÂ with competitive gyms being larger, better equipped and more often staffed with better gymnasticsÂ coaches. 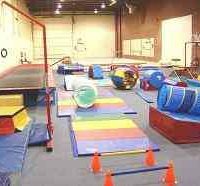 Â Competitive gyms often have much more specializedÂ gymnastics training ands safety equipment, like pits, in ground trampolines, tumble trampolines andÂ officialÂ Olympic gymnastics equipment. Without the high overhead that competitive gyms have, it is much easier to be profitable running recreational gyms. That is one of the major reasons people start rec gyms. Many parents don’t understand that gymnastics, like any sport or physical activity, is a series of habits – physical and mental patterns that are developed over time. Each pattern for progress is built upon the previous patterns. With poor coaching, gymnasts have bad habits from the very beginning, and successfully building on bad habits is difficult to impossible. The more serious parents and gymnasts are about them ultimately being successful high level gymnasts, the more important it is that they get the best instruction possible from the very beginning. That kind of start is most likely best begun at a competitive gym. There are many activities, other than gymnastics, that recreational gymnasts may benefit from, but from a purely gymnastics point of view, competition gyms are a much better bet. Recreational gyms have goals other than actual gymnastics training and since you tend to get more of what you set as your goals, rec gyms meet non-gymnastics goals. If you are really interested in gymnastics, you will want to find the very best gymnastics school from the very beginning. 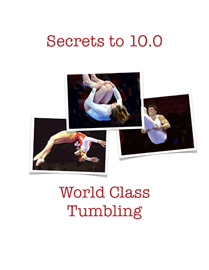 Even if you are not now interested in them becoming an Elite gymnast, if that is even a possibility in the future, you want them in an Elite gym from the very beginning or as soon as possible. If your daughter is already showing progress and being picked out of the crowd for special programs, you want her in a program that can actually lead somewhere in gymnastics. Obviously, I am prejudiced in favor of competitive gymnastics programs, competitive programs, competitive gymnasts and gymnastics competition. Competition brings the best out in a gymnast in both practice and competitions. Â We have read and studied virtually everything printed about gymnastics, and are unconvinced that non-competitive programs are morally superior, more values-oriented or developmentally superior to competition gym programs. 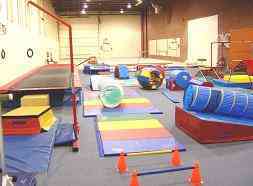 Recreational gymnastics gyms, like the nationally franchised Little Gym program. which do not have full size gyms and do not have Olympic gymnastics equipment, certainly have their own place in our society. Â But that place is not as a progression to high level gymnastics competition. Any competitive gymnastics program, worth being a member of, shows the same kind of individual attention and intellectual, emotional and social growth that recreational programs do. If they do not, you should continue to look for a competitive gym that does. Competitive gymnastics gyms have coaches able to develop higher level gymnasts, and they are motivated to develop young gymnasts properly and to teach skills with correct technique, to build good basics for a gymnastâ€™s possible future competitive gymnastics career. Non-competitive programs teach enough skills to keep parents and children happy, but they are not necessarily concerned with the gymnastâ€™s technique. Competitive gymnastics gyms have the advantage of having gymnastics role models present in the gym demonstrating good, high quality gymnastics. 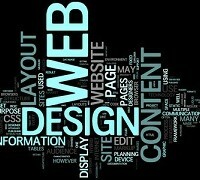 There is much to be said from learning by example and learning visually. In general, we almost always recommend competitive gyms over rec gyms. Wherever you go to gym, of course, you are looking for one thing and that is to find the best gymnastics teacher and coach you can find for your daughter. If your daughter has a good teacher, better than you can find anywhere else at a competitive gym, and they are teaching good form and technique, you may choose to stay with your current program. Good luck to you and your daughter and if there is anything else we can do for you or any other questions we can answer, please let us know.